Responsible and Reliable seeking a position as a Custodian. Exceptional customer services skills, with a 3-year background in high-turnover fast-paced Restaurant. 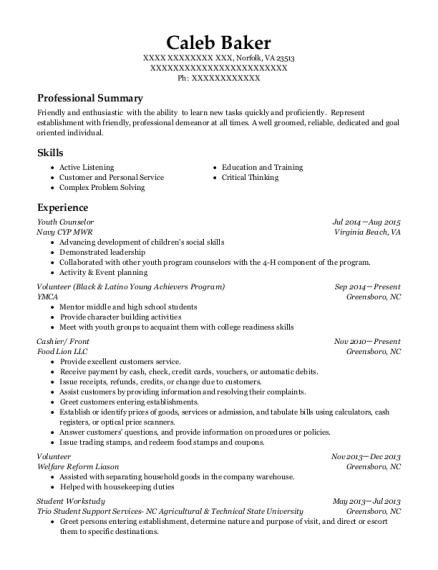 With Experience using cleaning products and willing to work hard. 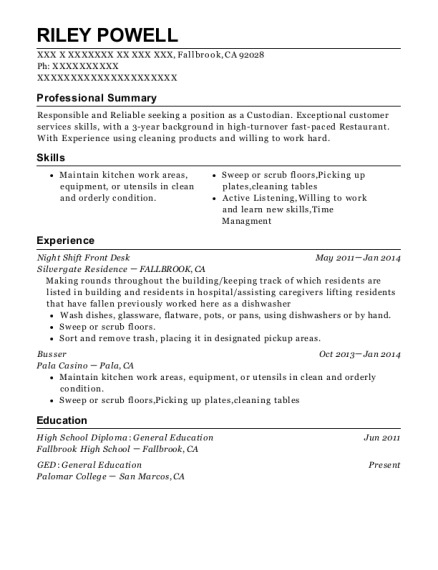 This is a resume for a Night Shift Front Desk in Fallbrook, California with experience working for such companies as Silvergate Residence and Pala Casino. 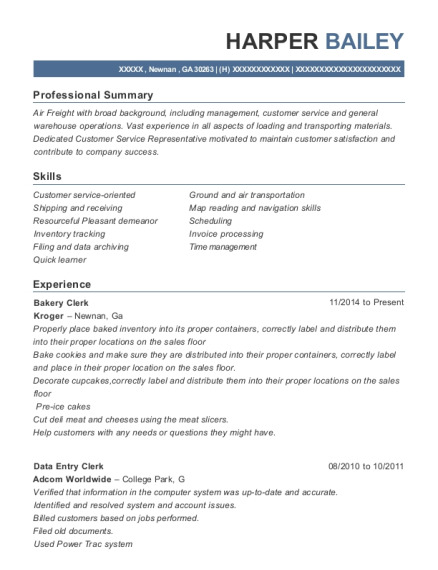 The grade for this resume is 0 and is one of hundreds of Night Shift Front Desk resumes available on our site for free. 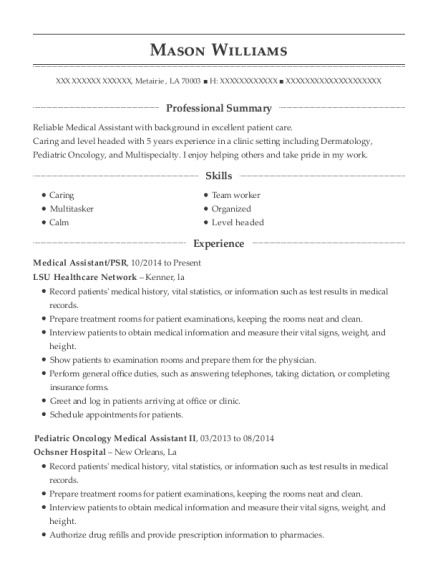 Use these resumes as templates to get help creating the best Night Shift Front Desk resume.